Home / Posts tagged "Mercer County NJ Criminal Defense Lawyer"
Municipalities that are strapped for cash have turned to some fairly creative methods of generating revenue. One method is police and prosecutors seizing and forfeiting cars, boats, money, computers, guns and even homes that were “used in, or facilitated a charged criminal activity”. Although many cases involve significant crimes and the forfeitures are justified, far too often persons charged with fairly low-level drug sales or purchases are routinely having their cars and homes seized. These fines and forfeitures are often used to supplement local and state budgets, including those of the very agencies that seized and forfeited the property. They also have produced complications in the area of criminal defense as those charged with crimes must not only defend their freedom but also their property. Being indicted on any criminal offense is a serious situation. The legal system can be very intimidating and the potential for loss of freedom, finances and property is enough to cause anyone worry. However, even if you have been charged with a crime our Constitution grants us all the right to be free of excessive fines and protects our property from unfair and unwarranted government seizures. The law firm of Kamensky, Cohen & Riechelson has more than four decades of experience defending clients who are facing criminal charges and civil forfeiture across New Jersey and Mercer County areas. Our attorneys will help you through the often complicated legal process with the goal of defending your freedom, your property and your finances. 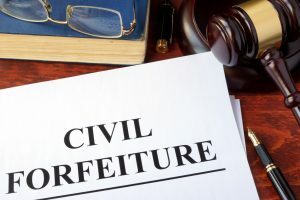 The problem is that many Civil Asset Forfeitures may be extremely excessive when compared to the criminal activity charged in addition to exceeding the financial penalties that the law dictates for a particular offense. In a current case before the U.S. Supreme Court , Timbs v. Indiana, the defendant pled to one count of dealing. He was sentenced to a year of home detention, five years of probation, and $1,200 in fines and court costs which is normal for this type of case. However, in a separate civil forfeiture proceeding, the State sought to forfeit his expensive Land Rover asserting that it was used in the commission of the crime. The value of the car was well over $42,000. The trial and appellate courts held that the forfeiture was excessive, disproportionate to even the maximum fine of $10,000 under the drug statute. The Indiana Supreme Court, however, reversed and allowed the forfeiture. The U.S. Supreme Court must now decide whether the excessive fines clause in the Bill of Rights applies to the states. Every day across New Jersey and elsewhere, local and state law enforcement seize cars, homes and other property they allege were used in or facilitated criminal activity – whether that consists of relatively minor drug sales, transportation of stolen property or other crimes involving the “use” of the car. Even if the person charged is admitted into a pretrial diversion program or receive probation and a minor fine, the government may still proceed to forfeit their property civilly or as part of the criminal sentence. That forfeiture is often grossly disproportionate to the underlying criminal charges. The ACLU in New Jersey compiled data, from January through May 2016, and found that police departments in New Jersey seized $5.5 million in cash over that time period, along with 234 cars as well as several homes. The criminal defense attorneys of Kamensky, Cohen & Riechelson have extensive experience defending clients from unfair, unwarranted and excessive civil asset forfeitures in Mercer County including Trenton, Lawrence, Princeton, and Pennington NJ. Our firm believes in aggressively defending our clients freedom, rights and property. You can rely on the experience we have cultivated since opening our doors in 1972. A third driving while intoxicated charge in New Jersey means a non-negotiable sentence of 180 days in jail if convicted. This portion of the penalties is unavoidable if you are found guilty of repeat drunk driving offenses. Recently, an Appellate Court in New Jersey clarified the requirements of third DWI jail time. Specifically, the New Jersey appeals court ruled that those individuals convicted of third and subsequent DWI offenses in New Jersey no longer qualify for programs that allow them to serve their jail sentences intermittently. Intermittent jail time means serving a few days a week in jail until the completion of your sentence. It is often referred to as “weekend jail”, “weekend service,” or “periodic service”. Kamensky Cohen & Riechelson is a highly respected law firm with a strong record of success in DWI cases. Our firm has more than 40 years of experience defending clients against DWI charges throughout New Jersey. Our mission is to provide clients with the best possible outcome to their case, which is why you can count on us for legal representation of the highest quality. With our team of criminal lawyers and highly trained litigators, lead by Brian McCauley, we will gather evidence, examine the facts, and prepare for litigation if a jury trial becomes necessary. We understand the gravity of the situation given the fact that your freedom could be at stake, so our team will do whatever it takes to help you acheive the most facvorable outcome. Contact us online or by phone at (609) 528-2596 today and begin preparing for the rest of your life. The case involved Newark restaurant owner Pedro Anicama, who had been convicted of his third DWI in 2015. A Municipal Court judge modified his mandatory 180-day jail sentence following his conviction to allow him to serve two days a week in jail. The judge came to this conclusion and sentence because he recognized the negative impact a 180-day jail term would have on his business if he were obligated to serve consecutive days. Using his discretion the judge allowed allowed him to serve two days at a time. However, shortly after Anicama’s sentencing, the State filed an appeal and took the case before a Superior Courty. A Hudson County Superior Court judge reversed the decision of the lower court. Upon reaching a New Jersey appeals court, the panel was in agreement with the Superior Court judge’s decision and overturned a prior ruling in the case of State v. Grabowski (388 N.J. Super. 431 (Law Div. 2006)). In short, the court ruled that the jail sentence for a third DWI offense may not be served periodically. This will represent a significant change in the lives of those convicted of third and subsequent DWI charges in Trenton, Hamilton, Jackson, Mercer County and across New Jersey. Spending 180 days in jail can impose a complicated and significant burden on work life for business owners, managers, and employees alike. A mandatory jail sentence for third DWI offenses is accompanied by a host of other very severe penalties, including a $1,000 fine, an ignition interlock device installed on your vehicle, and the suspension of your driver’s license for 10 years. These penalties are fixed, meaning you cannot negotiate a plea to a lesser sentence for DWI if convicted in New Jersey. Please do not make the mistake of trying to represent yourself in a drunk driving case. 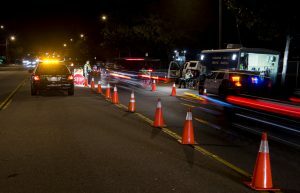 DWI is a serious issue and the law is incredibly complicated and involves a number of procedural and fact based issues. It is critical to have a knowledgeable and experienced advocate in your corner. The experienced DWI attorneys at Kamensky Cohen & Riechelson have worked with clients in Trenton, Princeton, Lawrence, Hamilton, New Brunswick as well as all over Mercer County New Jersey. The Criminal Defense Team are uniquely positioned to fight your charges and help you avoid the most serious penalties as well as help you retain your driving privileges. Please Contact us online or by phone in at (609) 528-2596. 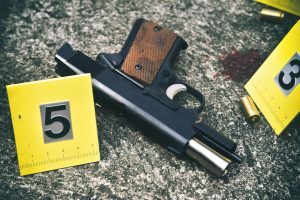 Our firm has been practicing criminal law for about 40 years. The members of this firm have been everywhere in the criminal courts. We’ve handled 10 defendant murder cases, we’ve handled the lowest traffic ticket and everything in between. If you have been approached the police, by a prosecutor or any prosecuting authority, politely decline to discuss the matter until you have spoken to your attorney. People sometimes feel that that draws attention to them, that they’re going to look guilty. The truth of the matter is that if they are talking to you they’ve got a reason to do that. they believe that you know something or have done something wrong. Criminal law is a fact sensitive operation. You want to get ahead of it. You want to know what people are going to say and quit frankly you want them to say to our investigator before they say it to the prosecutor’s investigating team. If you are unfortunate enough to be faced with the possibility of a criminal investigation or criminal charge the one thing you’ve got to do is come to us right away so we can do what ever needs to be done early on and protect you. Kemenksy, Cohen & Riechelson is a law firm that has years of experience defending clients accused of a myriad of different types of crimes in Trenton and communities across Mercer County. Crimes such as theft, traffic violations, weapons charges, domestic violence, homicide, assault, driving while intoxicated, public order crimes, property crimes and many more. In addition we work in the area of expungement and record sealing. If arrested for a criminal offense in New Jersey or Pennsylvania, good legal representation is absolutely critical. Decisions made at this important time may affect the rest of your life therefore sound advice from an experienced advocate can make all the difference. The best chance of avoiding serious criminal penalties is to hire an experienced lawyer to represent you and fight your criminal charges. The experienced and compassionate criminal defense lawyers at Kamensky Cohen & Riechelson look forward to speaking to you about your case and helping to guide you through this difficult process. Contact us online or by phone in New Jersey at (609) 528-2596 or in Pennsylvania at (215) 337-4915.